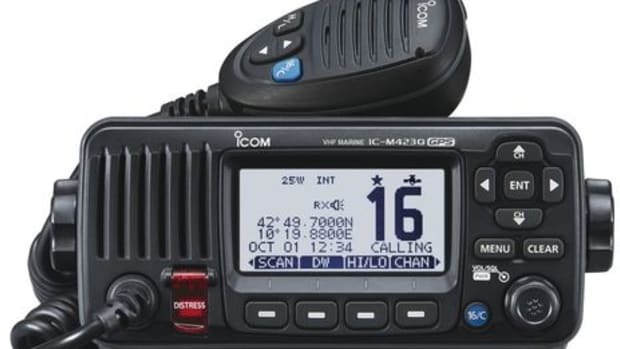 We spoke to three brokers who had Pacific Mariner 65s listed on BoatQuest.com. 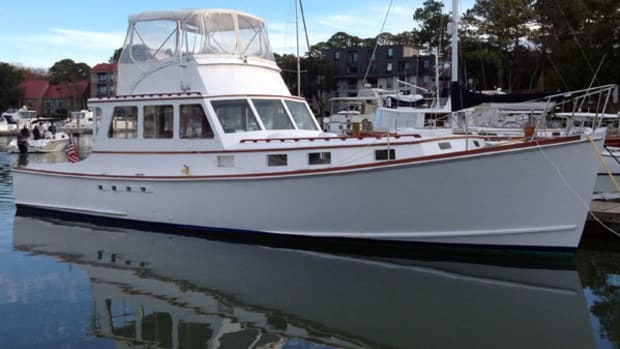 See what they each had to say about these sought-after three-stateroom cruisers and the boaters looking to buy and sell them. Feadship is no stranger to building innovative yachts; their very first build debuted at the 1951 New York Boat Show sporting a steel hull, something that was seldom seen on American yachts during this time. Since then, they’ve met the most stringent of demands from a Who’s Who list of owners, including Henry Ford, Paul Allen, Larry Ellison, and Mark Cuban. 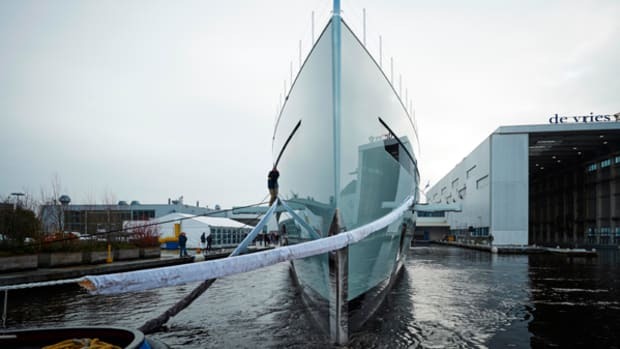 So it should be no surprise that the (self-proclaimed) world’s first hybrid-powered super yacht has emerged from the shed of the company’s De Vries shipyard. We scoured the industry to find out what builders have on the boards and in the factory. Check out four new projects from Grand Banks, Austin Parker, Nordhavn, and Princess, plus updates on boats we’ve covered in the past. 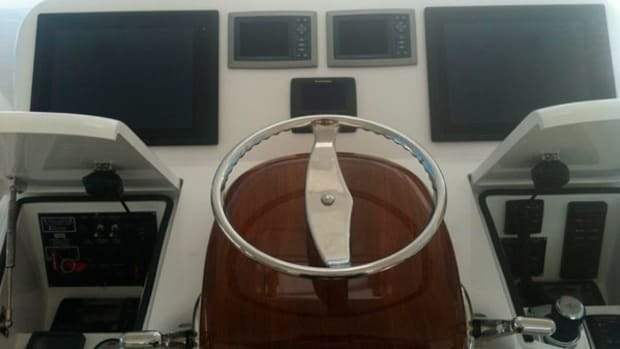 At the Genoa International Boat Show, Italian boatbuilder Austin Parker announced the beginning of an exciting new project, a 36-footer powered by a hybrid propulsion system developed by Italian industrial-equipment manufacturer Transfluid. 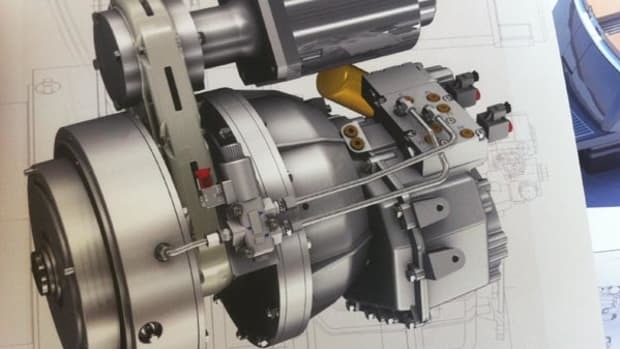 The hybrid system is contained within the drivetrain in a unit (shown above) placed between the clutch and transmission. 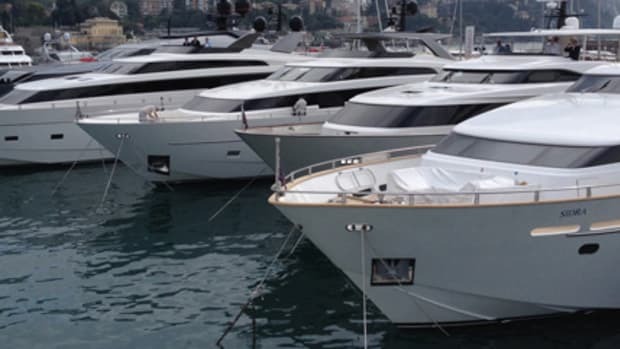 Have you seen the M class yachts from Princess International? 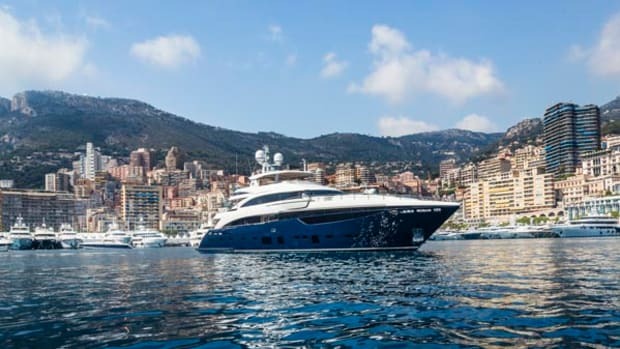 The British builder’s noteworthy into superyacht development and construction continues with the 40M Solaris, a 131-foot trideck motoryacht with six staterooms. Recently, I was fortunate to attend the Coast Guard Foundation’s 34th Annual Salute to the Coast Guard in New York City, where honors were bestowed and funds were raised at a gala event in a midtown hotel. 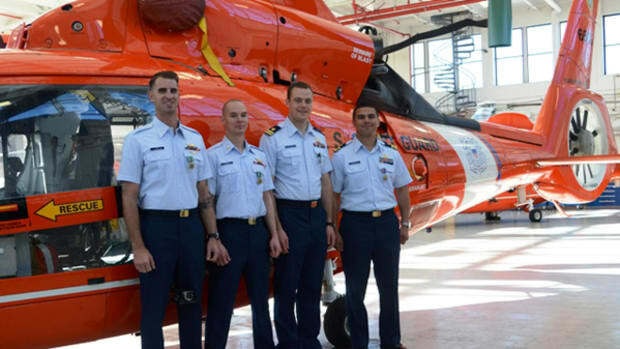 Before a crowd of nearly 700 comprising numerous U.S. Coast Guard officers, including the newly installed Commandant, Admiral Paul F. Zukunft, local dignitaries, commercial-shipping and shipbuilding representatives, and friends and family of the Coast Guard and its members, the foundation honored the heroic acts of the helicopter crew CG-6515 from Point Reyes, California (above), and the crew of Motor Life Boat 47212 (MLB) from Station Humboldt Bay, California (below). Both exhibited exceptional bravery in the line of duty to rescue civilians in dangerous situations, and a video presentation showing interviews with the Coast Guard personnel involved highlighted both their extraordinary poise in some challenging situations as well as their startling youth. Sometimes the best navigational aid is in front of you. In 2013, I was asked to take two couples from Stuart, Florida, to New Orleans in a 49-foot Eastbay for Jazz Fest, a route I was very familiar with. During preparation for this trip I met Capt. Stan Morse and his best mate Judy onboard their boat, Folly, in a mooring field on the South Fork of the St. Lucie River in Stuart. 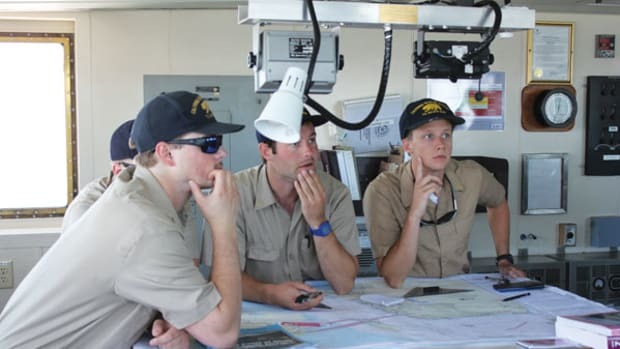 They were in the process of returning home to Destin, Florida, after several months of island hopping. Back in 1969, I served as an infantryman—a combat medic—in Vietnam. My unit operated in what was then called I Corps, just south of the DMZ (Demilitarized Zone), a stretch of no-man’s land between the northern and southern parts of a country torn apart by a horrible war. A few weeks into my stint with Charlie Company, First Platoon, a cool thing happened—the brass decided we needed a little R&R and sent us all to a spot at the mouth of the Cua Viet River, just a bit south of the DMZ. 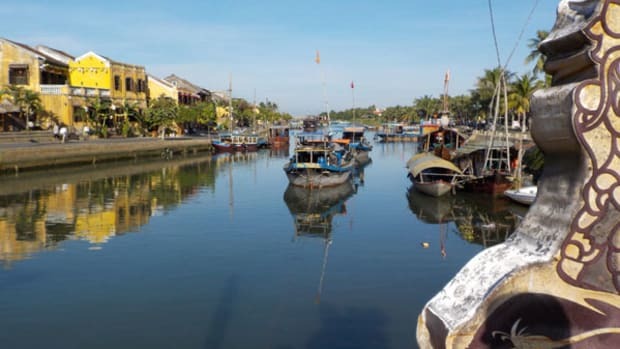 Cua Viet was home to a Navy base, with a beach, a mess hall—with food that beat the livin’ daylights out of the C-rations we were regularly feasting upon—and movies on most evenings in a sort of outdoor theater. 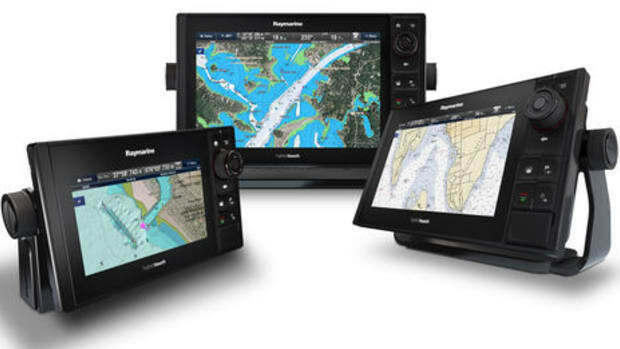 Hatteras Express Series—Get Excited for the Ft. Lauderdale International Boat Show! 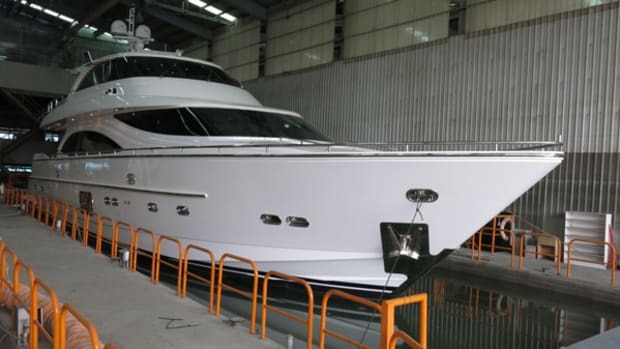 Hatteras Yachts has announced two versions of a 45-foot Express yacht that will debut at the Ft. Lauderdale International Boat Show in October. 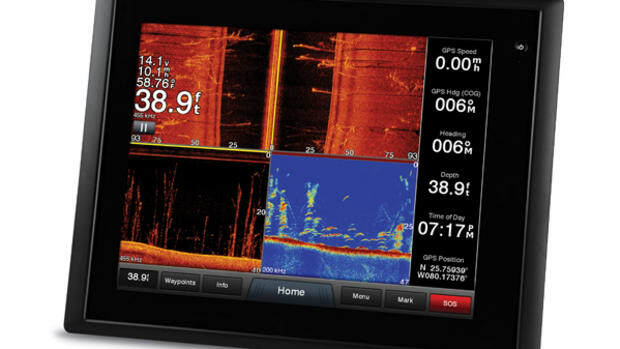 Garmin announced that a free software update for select chartplotters expands access to the company’s networked sounder units. I just got back from the Abacos where I was testing the Pursuit 325. 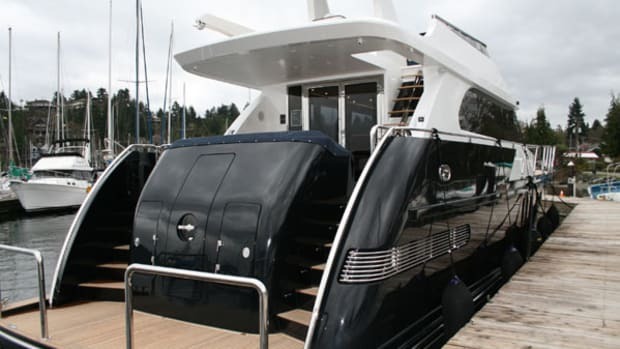 That’s quite a little vessel that packs a whole lot of boat onto her 32-foot LOA thanks to an open, bow-rider layout. 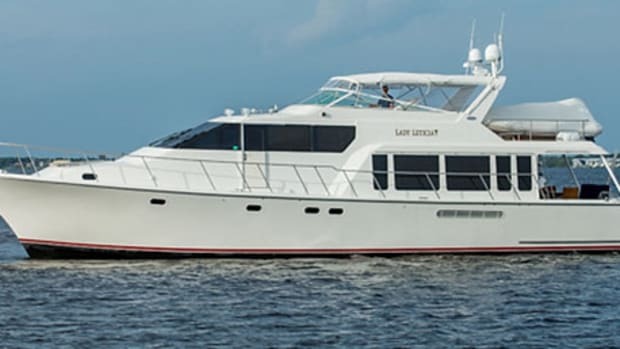 Four 88-footers sold! 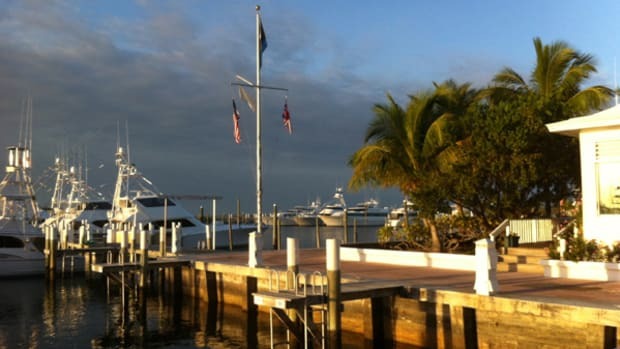 Horizon Yacht USA shared some exciting news this month, selling one inventory E88 motoryacht and taking orders for three more in rapid succession. Why would this large semi-custom yacht start popping, you may ask? I caught up with Elise Moffitt, who handles marketing and communications at Horizon Yacht USA, for the lowdown. Aspen Power Catamarans is putting one of its groundbreaking boats to the test. 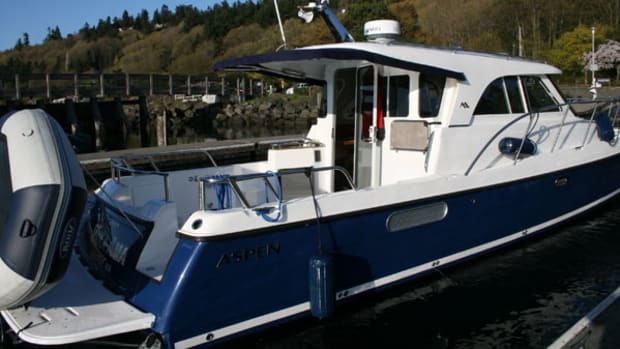 The builder of the 32-foot Aspen C100, a single-engine multihull notable for its asymmetrical sponsons, is attempting a circumnavigation of Vancouver Island in British Columbia without refueling. The challenge was put to production boatbuilders for their hulls of less than 40 feet by Pacific Yachting magazine, and requires the nearly 700-mile voyage using only the fuel that can be carried onboard. Sanlorenzo of the Americas, in conjunction with Cape Yachts, invited friends to the Bulgari flagship store on Fifth Avenue in New York City to celebrate its new sales office in Port Washington, New York, on Long Island. The Aspen 32 from Aspen Power Catamarans (www.aspenpowercatamarans.com) has got to be one of the coolest, most interesting watercraft I’ve sea trialed in years. She has a very monohull-like appearance despite the fact that she’s got two hulls, not one. And get this: The Aspen is not actually a cat, despite her builder’s catamaranish name. 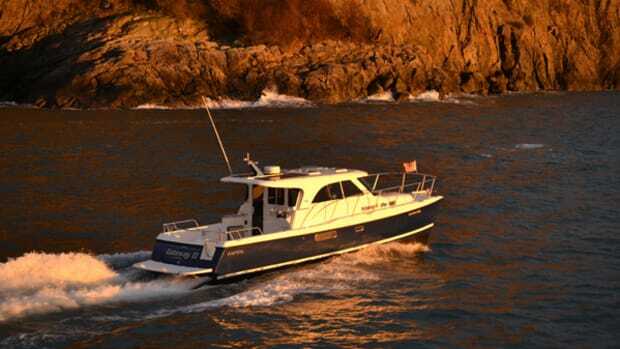 Frank Huckins’s granddaughter Cindy Purcell started working in the stockroom at Huckins Yachts in the 1970s, and today she and her husband, Buddy, own and run the company that made its early name with PT boats. 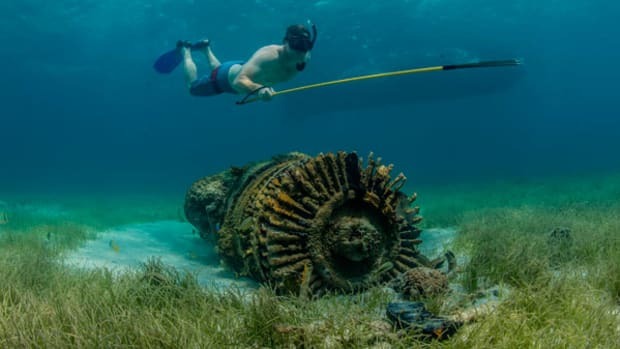 OK, maybe maelstrom is too strong a word, but when I tested the Viking 42 ST today off of Riviera Beach, it just wasn’t really all that pleasant, weather-wise. The rain was slamming down, the wind was conjuring up whitecaps, and confused four footers made the Atlantic an interesting place to test a boat that easily surpasses 30 knots. 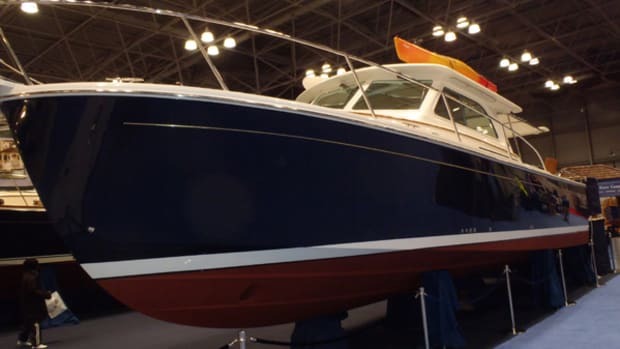 While the Progressive New York Boat Show (running through January 5 at the Javits Center on the west side of Manhattan) may evade you due to geography or scheduling or a combination of both in conjunction with an overblown weather forecast, the show serves as a boating beacon hard by the wind-whipped Hudson River. And come they did, the show opened at noon on New Year’s Day and was packed all afternoon. I spoke to salesman who said they were excited to get 2014 started and it seemed there were plenty of serious buyers mixed into the crowd.